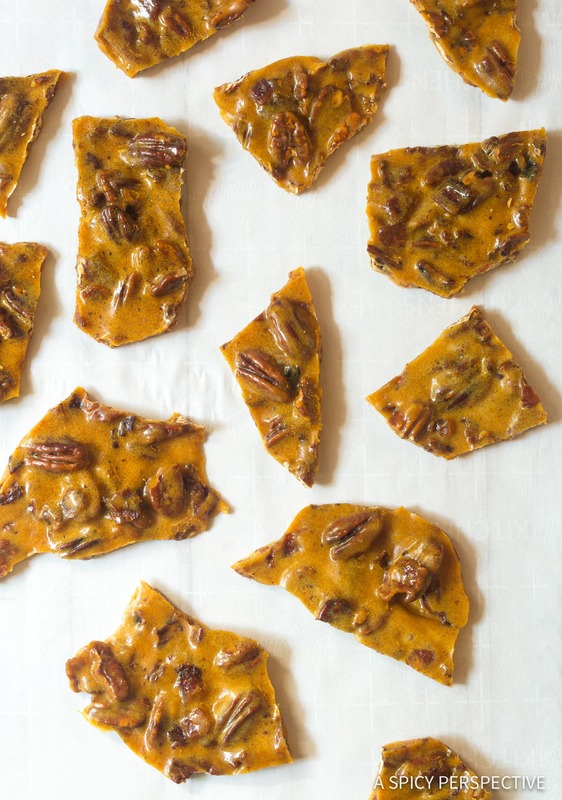 Our Bacon Pecan Brittle Recipe is a fluffy airy homemade caramel candy, speckled with salty bacon and pecans. It makes a marvelous holiday gift. Making edible presents is one of my favorite parts of the holidays. Our family makes these gifts together each year. It brings us joy to work on this project, knowing our treats are going to make other people happy. Sometimes we make a wide array of cookies. Other times we make soft chewy caramels. And then now and again we make layered fudge. No matter what we decide to cook in mass quantity to pass out to our friends, we always have fun! This year, I’m thinking of making a brittle recipe with our friends. Candy brittles are often thought of as difficult to make, but honestly, nothing could be further from the truth. Yes, you do need a candy thermometer in order to make brittle. And yes, it’s very hot and could burn you… But then so could soup. Fear not, of candy making. You’ve got this! 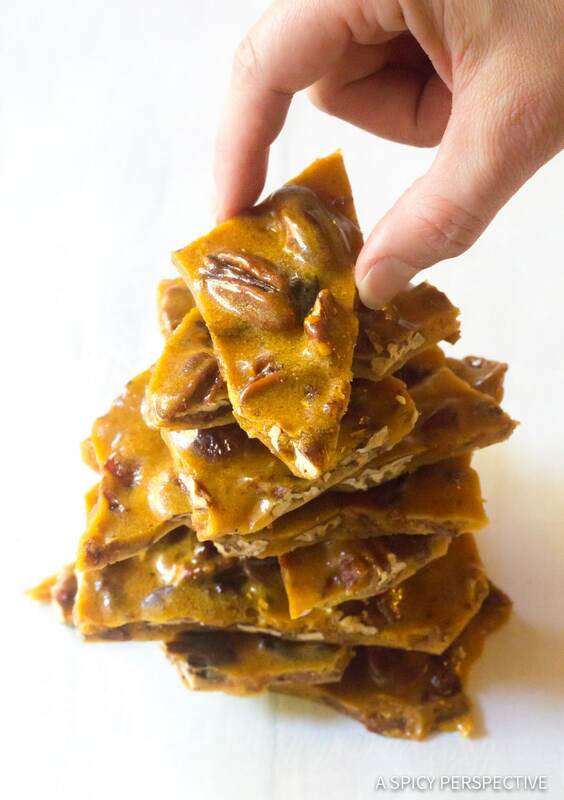 In my humble opinion, brittles are either the best homemade candy or the worst homemade candy. If the brittle is ultra hard, it hurts your teeth. Yet when it’s good, the texture is crisp, light, and airy with tiny candied bubbles suspended evenly throughout. This sort of fluffy brittle is hard to resist! A) Watching the candy thermometer closely. B) Working quickly. If you read the recipe ahead of time and prepared to act fast, your brittle will come out perfect every single time. Peanut brittle is nice. 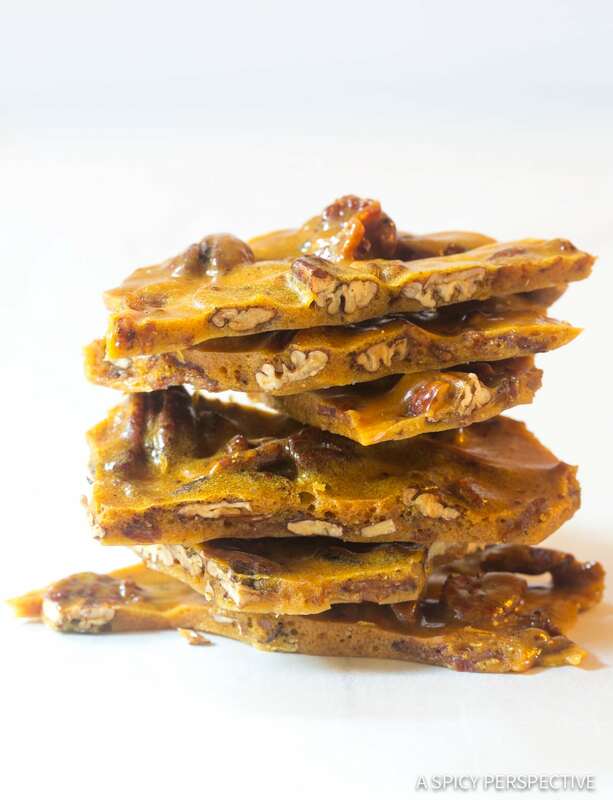 However, you can add anything to your candy brittle mix, so why not shake things up for the holidays. 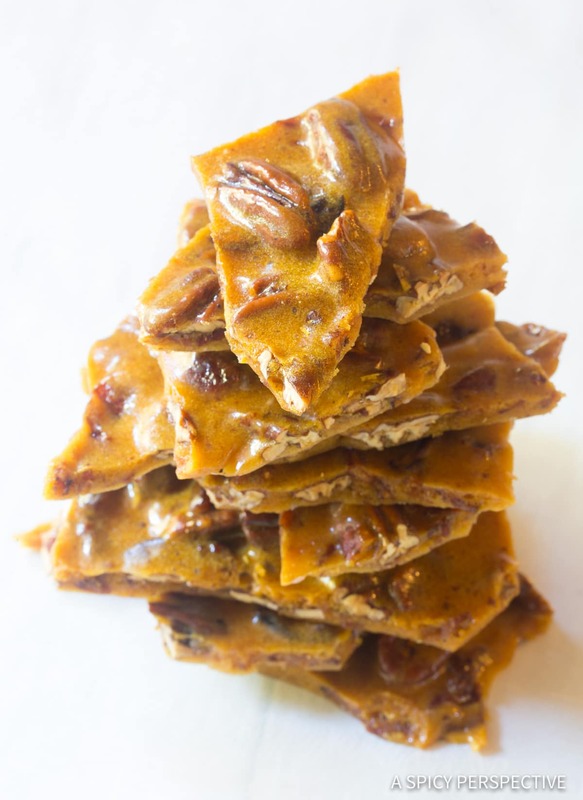 This year we are making a Bacon Pecan Brittle Recipe. This salty-sweet candy combo is bold and rich with an intense buttery flavor and a pop of porky essence. 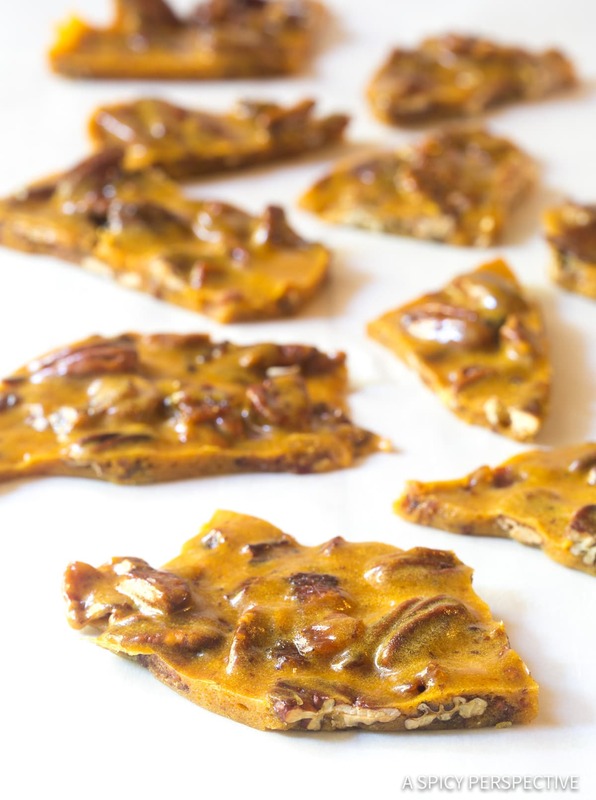 It’s a fun twist on classic candy brittle, yet still appeals to the masses. Granulated sugar – Essential for most candy recipes. Corn syrup – For sheen and texture. Water – The candy will loose some moisture in the steam while boiling, yet still end up with the right consistency. Butter – Adding fat results in the textural difference between classic hard candy and brittle. Pecans – Instead of peanuts. However you could add any nut you like! Vanilla – Adds underlying depth. Baking soda – This provides the chemical reaction in which the air bubbles are formed. Prep the Pan – Cover a large rimmed baking sheet with foil or parchment paper. Butter the paper generously so the brittle doesn’t stick to the pan or paper. Prep the Pot – Attach a candy thermometer on the side of a large stock pot. Make sure the bottom of the thermometer reaches down to the bottom of the pot. Add the sugar, corn syrup, water, and butter. Cook the Bacon – It’s important that the bacon is very well cooked, but not burnt, so the candy can sit out at room temperature. Chop, brown, and drain well. Boil the Candy – Watch the candy thermometer. When it reaches 275 degrees F or “Soft Crack” carefully stir in the pecans. Continue to boil the candy until the thermometer reaches 295 degrees F or “Hard Crack” then turn off the heat. Stir in the vanilla extract, dried bacon, and baking soda. The baking soda will bubble up and create air pockets in the candy. Work Fast – Quickly and carefully, pour the molten brittle on the baking sheet in a zigzag pattern. Then immediately move the sheet to the refrigerator (or freezer) so that it cools fast, retaining as many air bubbles as possible. Crack – Once the sheet of brittle is hard, break it into pieces! Candy thermometer – Highly important, do not wing it. Large stock pot – Boiling sugar can double and triple in size. Make sure your pot is large enough to handle the growth. Large rimmed baking sheet – You need the edges to stop the hot liquid brittle from running over the edges. Parchment paper – Or foil, so the brittle comes off the baking sheet. 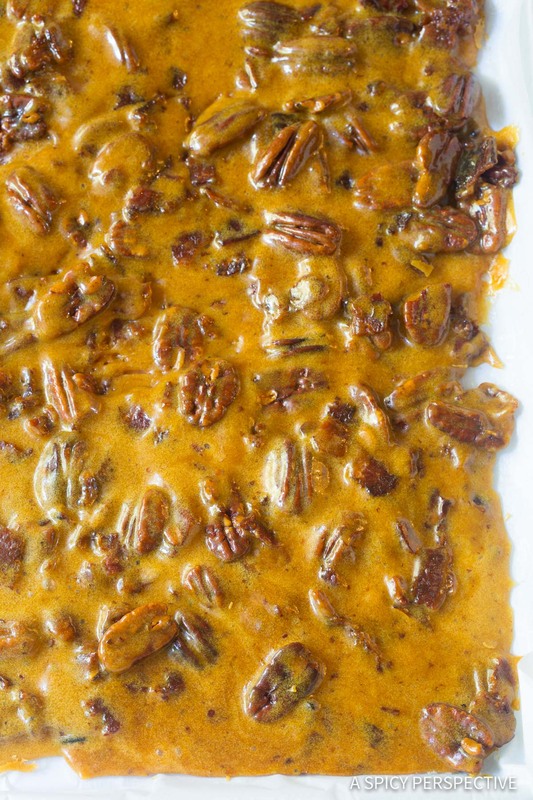 If brittle is not your thing, this is a different kind of brittle. I’m pretty sure it will win you over to the dark side. If not, check out more of our edible gift recipes! 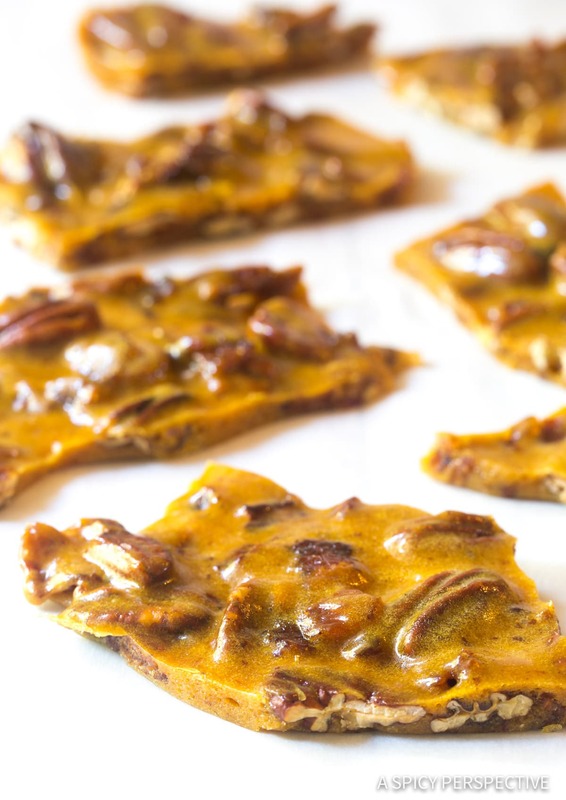 Our Bacon Pecan Brittle Recipe is a fluffy airy homemade caramel candy, speckled with salty bacon and pecans. Cover a large rimmed baking sheet with foil or parchment paper. Butter the paper generously. Place the sugar, corn syrup, water and butter in a large sauce pot. Attach a candy thermometer on the side of the pot, with the bottom down in the sugar mixture. Turn the heat on medium-high and bring the sugar to a boil. 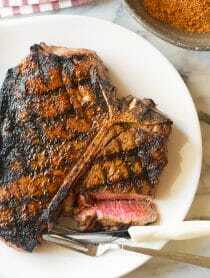 Meanwhile, chop the bacon finely, place it in a skillet, and cook over medium heat until brown. Then drain the bacon bits well on paper towels. They need to be dry, not greasy when added to the brittle. Watch the candy thermometer closely. When it reaches 275 degrees F or "Soft Crack" carefully stir in the pecans. It usually takes 15-25 minutes to reach this temperature. Continue to boil the candy. The moment the thermometer reaches 295 degrees F or "Hard Crack" turn off the heat. Carefully stir in the vanilla extract and dried bacon bits. Then stir in the baking soda. The mixture will bubble up to create air pockets. Quickly, yet very carefully, pour the hot liquid brittle on the prepared baking sheet. 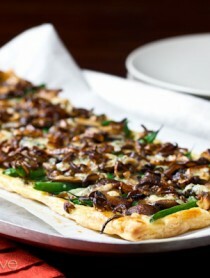 Pour it in a zigzag pattern across the baking sheet so it spreads out and fills the sheet in an even layer. Immediately move the baking sheet to the refrigerator or freezer so that it cools fast, retaining as many air bubbles as possible. This creates a light airy texture. Once the entire sheet of brittle is hard, break it into 36 pieces. Store the brittle in an airtight container until ready to serve. 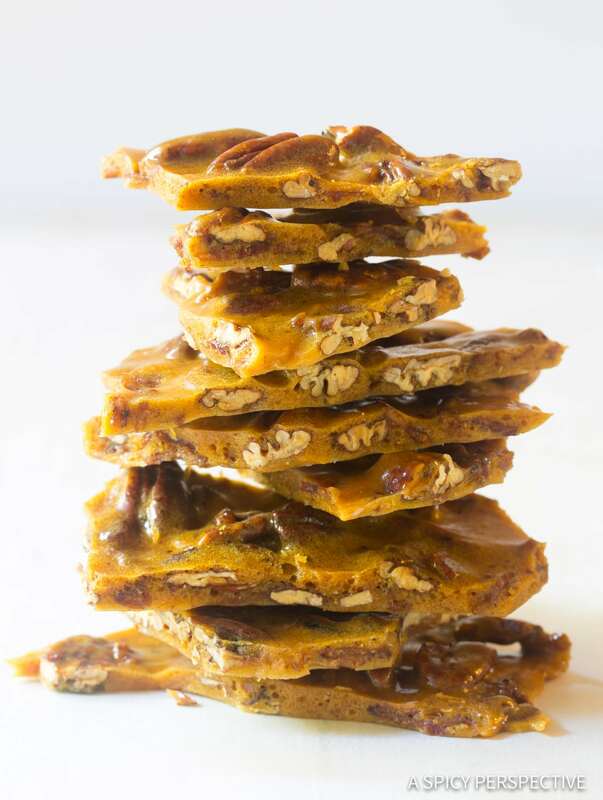 This brittle is a great edible gift! Package in small cellophane bags to give to friends. As long as the bacon is well cooked, the brittle is safe to keep out at air temperature for 2-3 weeks. Would using brown sugar have any effect on the consistency of the brittle? I think it might go very nicely with the bacon. You can definitely make brown sugar brittle! Just go by the same temperatures on the candy thermometer. The texture is very similar. I want to make this every week. SO GOOD! Ohhhh my!! You’ve got me at bacon. 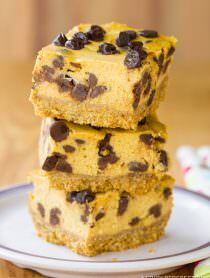 Such a creative and delicious recipe, especially for the holiday season. I love the combination of the sweet and the salt! This was gone in a flash! This was a huge hit with my kids! Every person on my list would LOVE THIS! I can’t stop snacking on this! Love this sweet-salty candy! Great for holiday gifting!! I love the bacon in this pretty, adds the ideal salty taste! I want to give this away as gifts but pretty sure I’m gonna keep it all for myself! I looooooove the bacon twist with this brittle! Oh my goodness this looks heavenly!! I can’t wait to try it! This sounds and looks absolutely delicious; is there a Sugar Free version of this recipe? My husband I love brittle and bacon, but prefer SF.